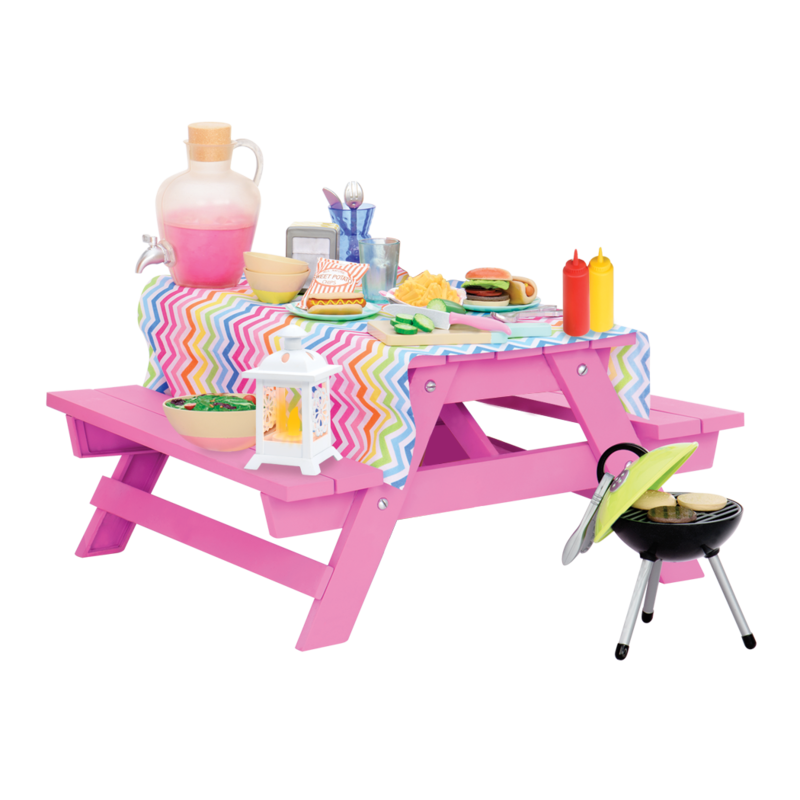 Relax to the beat of your favorite tunes with this music set for 18-inch dolls! Let’s chill out, put on a couple of records, and let the music take us away! 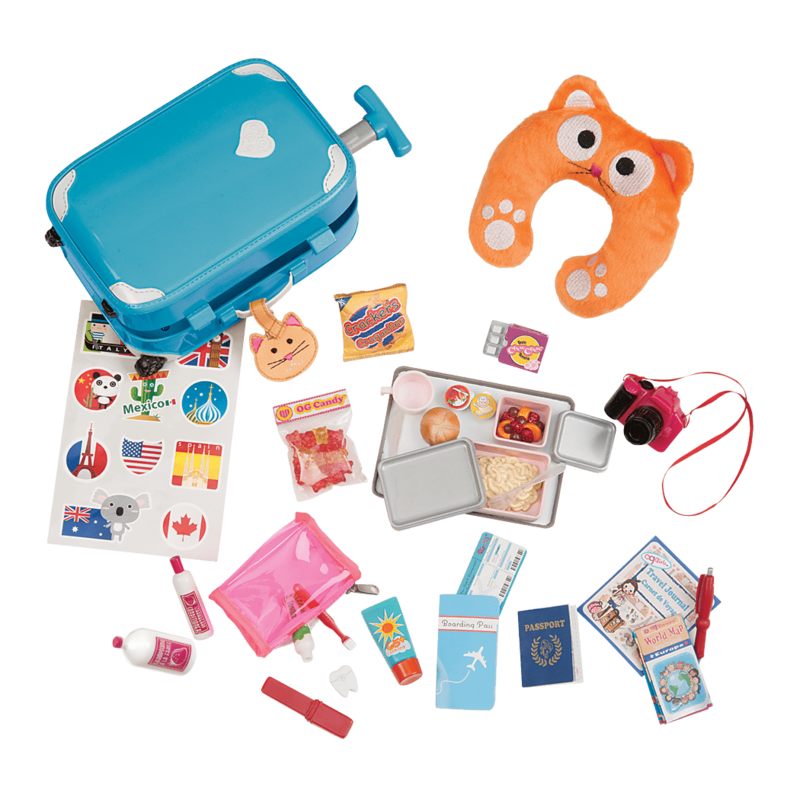 Let the music carry you away with the Our Generation Retro Records music accessory set for 18-inch dolls! The vintage charm of these miniature doll music accessories makes the Retro Records set a great addition to any doll collection. 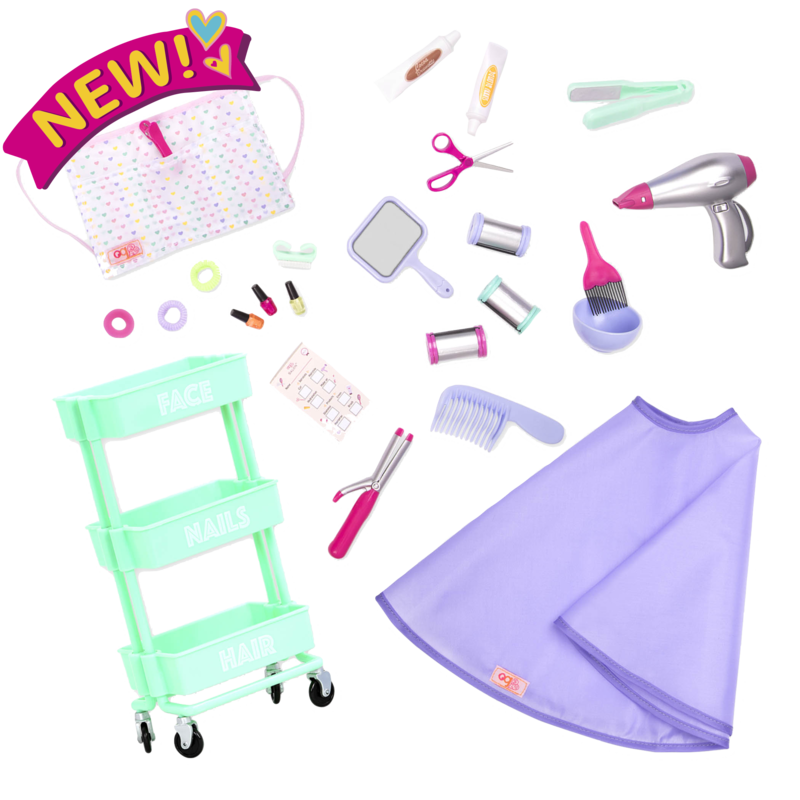 Fun Music Accessories for 18-inch Dolls! Learn a new tune and serenade your friends! Choose one of the vintage-style vinyl albums and play it on the pretend record player. Use the retro headphones so your dolls don’t make too much noise! 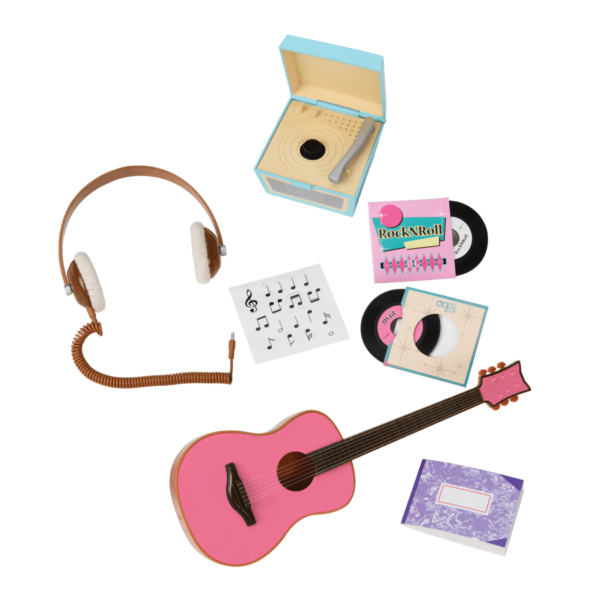 Your dolls can learn to play their favorite songs on the adorable pink doll-sized guitar using the sheet music as a guide. Help them take notes in the miniature notebook. 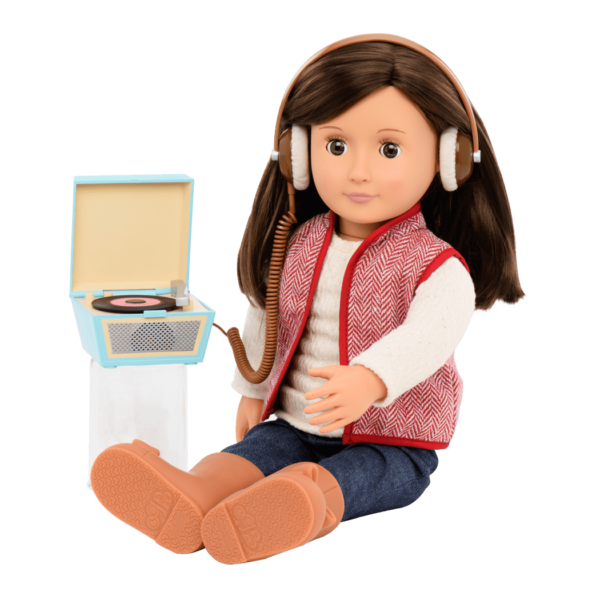 Have you met June, the doll in the picture of the Retro Records music accessory set? June is one of the fabulous OG Retro Dolls, and she just loves retro accessories like this mini pretend record player! In the photo, June is wearing the cute and casual Fall for Apples outfit – the perfect fall style for picking fresh apples in the orchard! For even more retro fun for your dolls, bring them to the coolest hang-out spot in the OG neighborhood – the Bite to Eat Retro Diner, a fully stocked retro restaurant with fun features like a working jukebox! 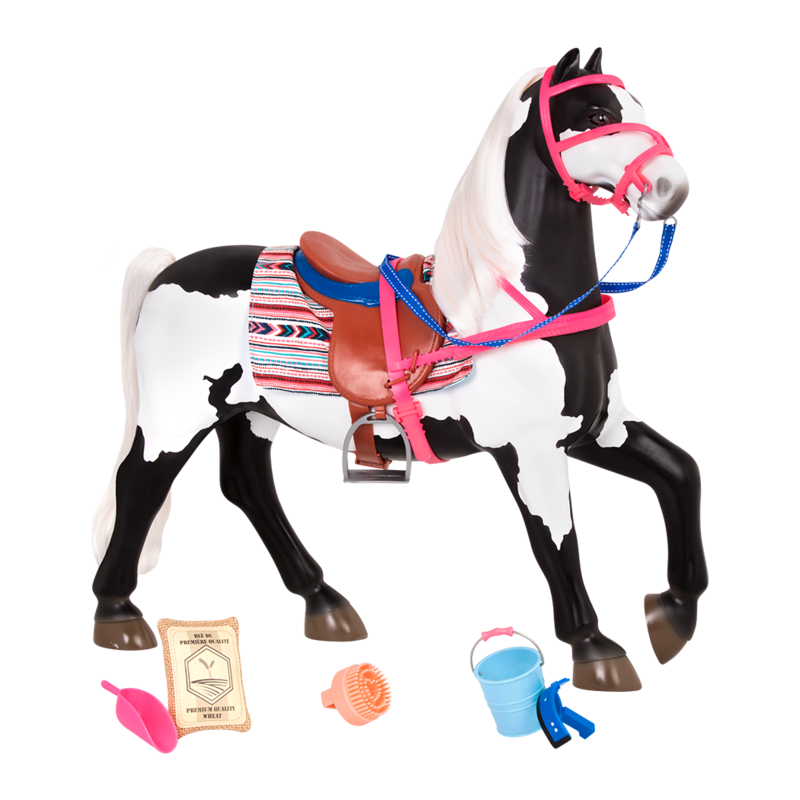 Features retro record player & headphones, albums, doll-sized guitar, & more!